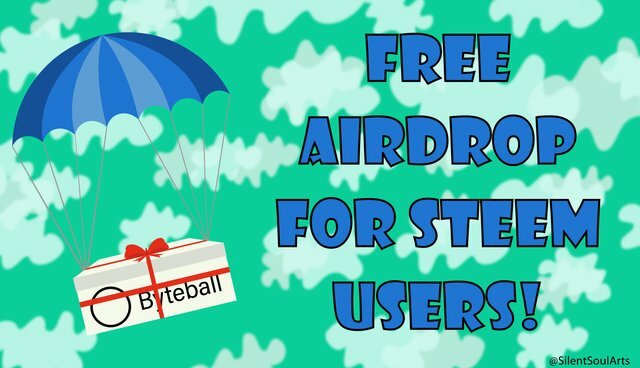 In case you missed it, there's a FREE airdrop for Steem users! 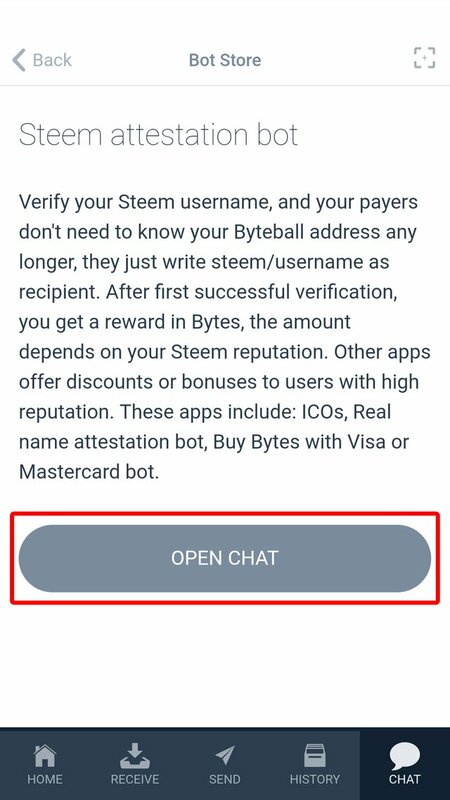 Byteball Bytes are rewarding you with free coins, which depends on your reputation in Steem, and here's a full tutorial on how to redeem yours. Half of the reward will be immediately available, the other half will be locked on a smart contract and can be spent after 1 year. 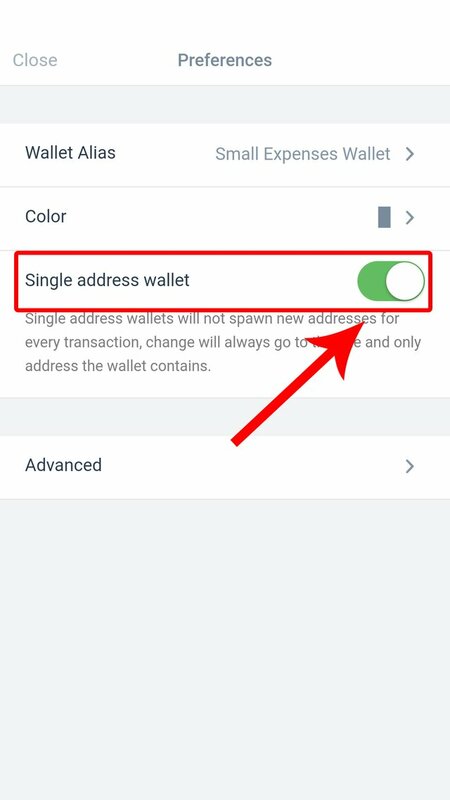 2- Once you set up your wallet, on the "Home" page go to the wallet preferences and make sure to toggle on the "Single address wallet" option. -In order to receive the free coins, you'll need to attest your steem username, and the price of attestation is 0.000049 GB. So the next step is to copy/past your Byte wallet address in the comment section below, so I'll send you 0.00006 GB, which you can use to attest your steem username. 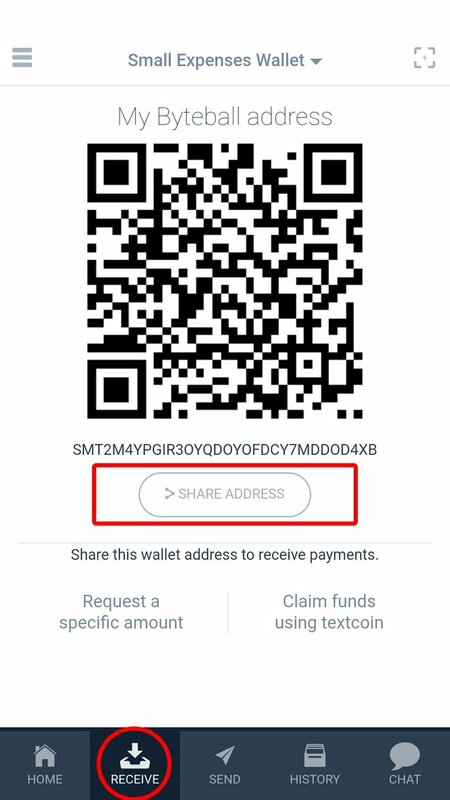 To get your Byte wallet address, go to "RECEIVE" tab and "SHARE ADDRESS" to copy it, then past it in the comment section below. 3- When you receive the coins, go to the "CHAT" tab and on the top " Bot Store" then "Steem attestation bot" and "OPEN CHAT". 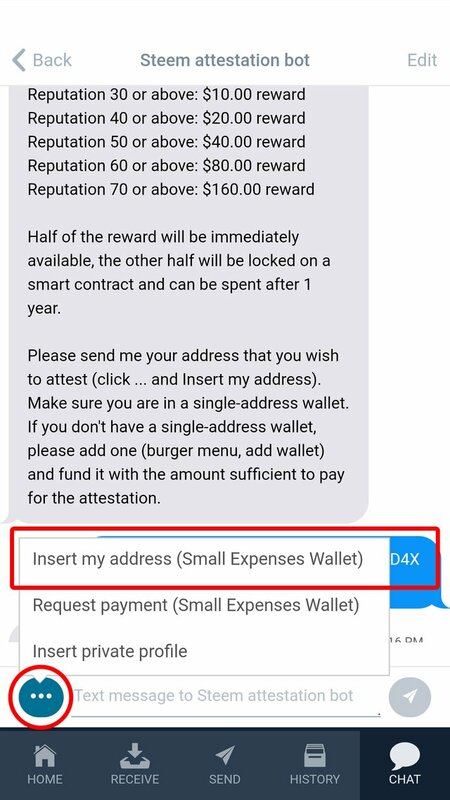 4- The bot will ask for your Byte wallet address, click the 3 dots icon on the left bottom side in the chat box area, and click on "insert my address (Small Expenses Address)". 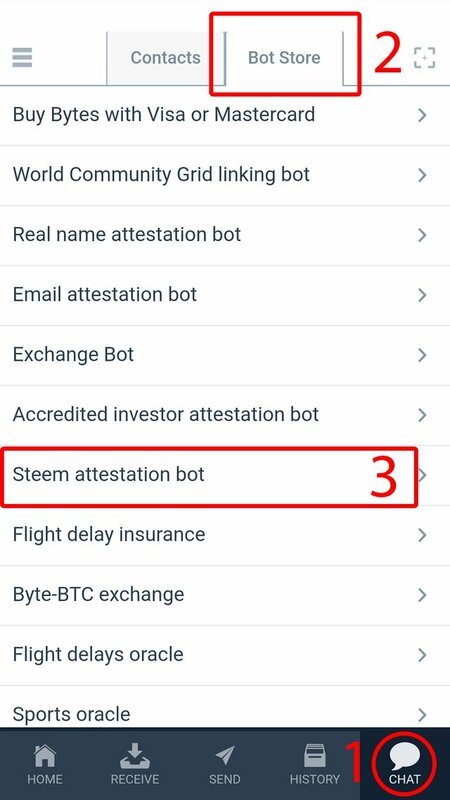 5- Next, the bot will provide you with a link, to verify your steem username via steemconnect, log in with your steem account, then return to the chat. 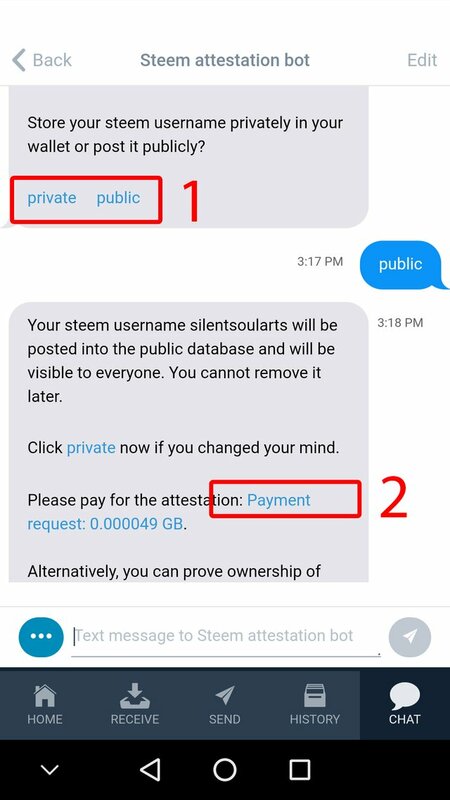 6- The bot will show your steem username and ask you if you want it to be private or public in the database, select the one you like, and in the next message click on "Payment request: 0.000049 GB" to pay for your attestation fee. And voila! 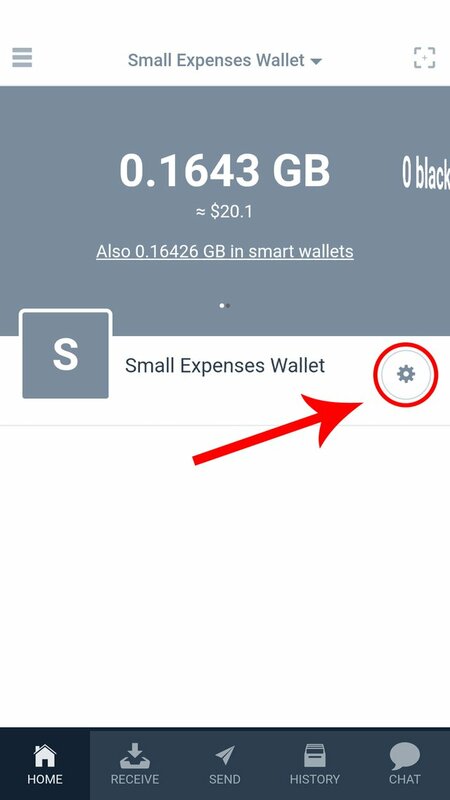 Your Byteball Bytes coins are in your wallet! Enjoy your free money! Let me know when you get them, and I hope this helped you! A special thanks to @kid4life for helping me to claim mine. Here is my wallet address. Thanks! Here's my wallet address. Thanks. Thank you all it turned out and you all accurately described how to act. this is very helpful for people to easily understand, thank you for sharing an information. Hello is my wallet address. Thank you very much, everything is good! Congratulations! This post has been upvoted from the communal account, @minnowsupport, by SilentsoulArts from the Minnow Support Project. It's a witness project run by aggroed, ausbitbank, teamsteem, theprophet0, someguy123, neoxian, followbtcnews, and netuoso. The goal is to help Steemit grow by supporting Minnows. Please find us at the Peace, Abundance, and Liberty Network (PALnet) Discord Channel. It's a completely public and open space to all members of the Steemit community who voluntarily choose to be there. How do I transfer it from byteball to my steem account? Congratulations @silentsoularts! You have received a personal award! Sent! You can claim yours now!